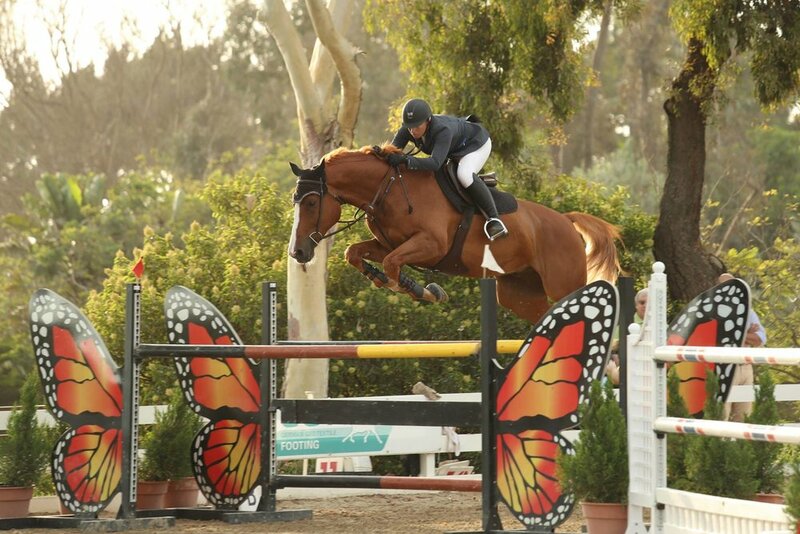 Delacreme Equestrian owner and head trainer Noelle Roberts has over 15 years experience in the Hunter-Jumper world, but she didn’t get her start there. We recently spoke to Noelle for Coat Defense’s continuing series, Our Riders, to ask her how she got her start, the lessons her journey taught her and where she’s headed now. Noelle, were you born into the horse world or did you find it? What made you go for the Hunter-Jumper ring? Noelle: I was born into it in the sense that my mom rode western pleasure at her boyfriend’s ranch. She taught me to walk, trot, canter and some team penning at a young age. She decided to switch to English lessons for me. She bought a horse for us to share when I was 12 and it went from there. It’s great that you’ve had the opportunity to try both disciplines. Noelle: I like that I’ve done a bit of both. It gives you respect for other disciplines and ties it all together. You find yourself duplicating pieces of both as you work with the horses. It really helped me later on. You grew up showing and competing in the San Diego and Orange County, what's one of your favorite memories from that time in your life? Noelle: There was one AA show mom finally let me go to, and I had a little Quarter Horse, that was given to me, that I taught how to jump. We didn’t win, but we were in the good ribbons. That was a big deal to me, to take my cheap, green little Quarter Horse and go to a higher venue and be able to be in the running. You also competed on the Fresno States Equestrian Team; what were some of the major lessons you learned during that time period? Noelle: I played soccer my whole life and was supposed to play soccer in college, but I realized that I couldn’t do both. I could imagine life without soccer, but I couldn’t imagine life without horses. I began to really miss the team feeling, and at the same time an opportunity came up to bring my horse to school. A lot of it was seeking out that camaraderie, and learning how to take an individual sport like ours and make it feel like a team sport. I tell my girls today, even if you’re competing with other girls from the barn, they’re still your teammates. And that's what it’s like on those teams, because you want the teams to do well. It made me really understand that side of it, to keep a competitive edge but still support your fellow riders. 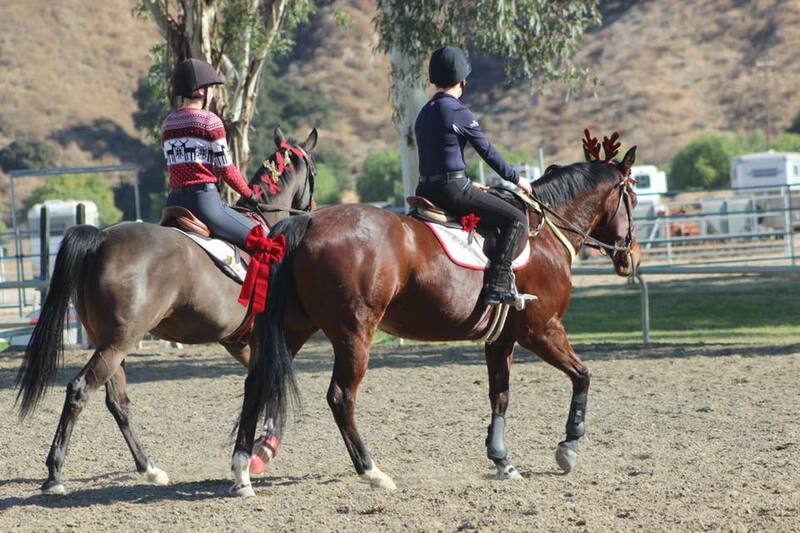 When you moved back to Riverside County, you began training programs and you now work to connect high school equestrians to collegiate equestrian programs. What is one of the most challenging parts of that work? Noelle: Educating people when the kids are young enough. We tend to get kids senior year and they’re behind the game. You have to have an idea of where you need to go, and you need to develop your riding abilities so you’re an asset to those coaches. The hardest thing is really getting the word out, so I encourage young riders to get serious early on. My time in soccer really brought me this aspect. A plan, route and networking begin earlier and that you need to understand the in’s and out’s before it’s too late. It’s a small pool to get into, so you have to work really hard to get into these programs. What we do is all at our local level, we begin in high school pushing that early education and helping the kids narrow down where they want to go, and give them a really solid foundation to start. As we move into 2018, what are looking to pursue next? Noelle: This year is going to be fun, I have Sport Horse Nationals on the Arabian circuit, we will be returning with a three time Grand Champion and our Reserve Champion from last year. I have the horse I’ve been doing Grand Prix on, so we want to continue training and bettering ourselves. I’m big on goals, but in my own personal business and riding, I always want to get better. I always want to be pushing the envelope. If I build brick by brick and keep pushing my education, to be a better rider and teacher, have a better business, next thing I’ll end up where I want to go. I never wanted to let my growth be stunted by only driving to that one goal in life. You just try to get better, you take the opportunities that are given to you and what shows up, shows up. If you had told me January 1st of last year that I would be riding a Grand Prix horse, I would have told you you were joking. You just have to take those opportunities and build. And how did you hook up with Coat Defense? Noelle: I work with Athletux, as does Coat Defense. So when my friend Niki Clarke, introduced me to it and recommended it for boot rubs, I started using it and fell in love. So we reached out with Athletux to Coat Defense and we were honored to have them sponsor us. It really takes a village to show horses, and it’s great having them support us and provide a product that’s so easy to use, and doesn’t require multiple steps or explanation. You throw it on and go, it solves our problems. I had a horse that had a wither rub, I don’t even know what it was from, but I put the paste on and it was gone within a day. Just to have a product that’s so easy to use and a company that’s so supportive and easy to interact with is really appreciated. We want to thank Noelle for taking the time to talk to us and continue to recommend Coat Defense to friends, students and other trainers. We look forward to seeing her at Sport Horse Nationals this year, and wish them the best of luck in all of their 2018 endeavors!